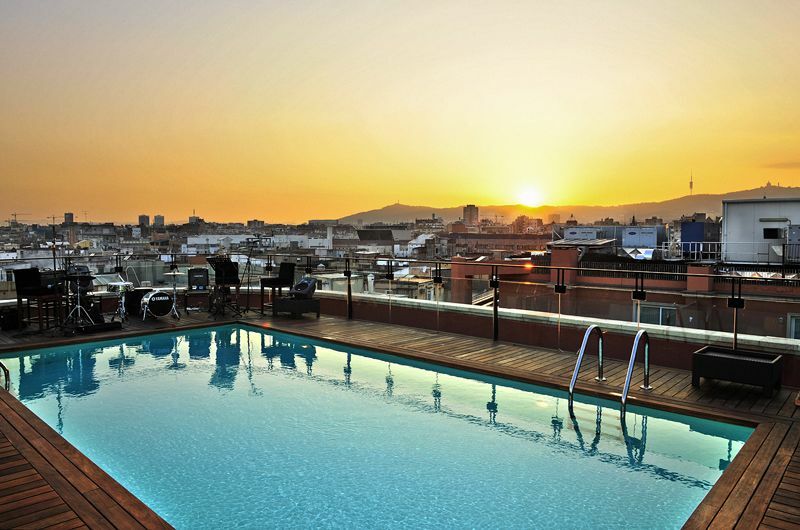 Having been to Barcelona 4 or 5 times, I have found myself unwaveringly loyal to one hotel. Despite being literally in the heart of Barcelona, you would never know it once inside and of all of the hotels I have visited in Barcelona… This one has my heart. During my second stay at H1898, I left my credit card holder in one of the Spa changing rooms… (Smart Move). Having a second travel card holder, I only noticed that this one had been carelessly left behind by yours truly on returning to London. Lost forever surely… Nope. Ahead of the game, they had already set it aside, tracked me down and were sat with pen in hand ready to make delivery preparations to London. No sooner could I say, “Gracias, Di Nada”, than it had turned up on my doorstep with their compliments. Serious “My Hero” points earned. 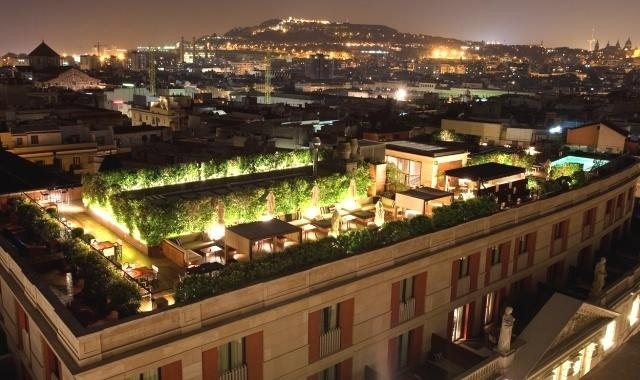 This place has a monaco style decking and pool on the roof with a view of the modern city on one side and a view of what I would suggest was the old traditional Barcelona on the other with archaic buildings and ruins. 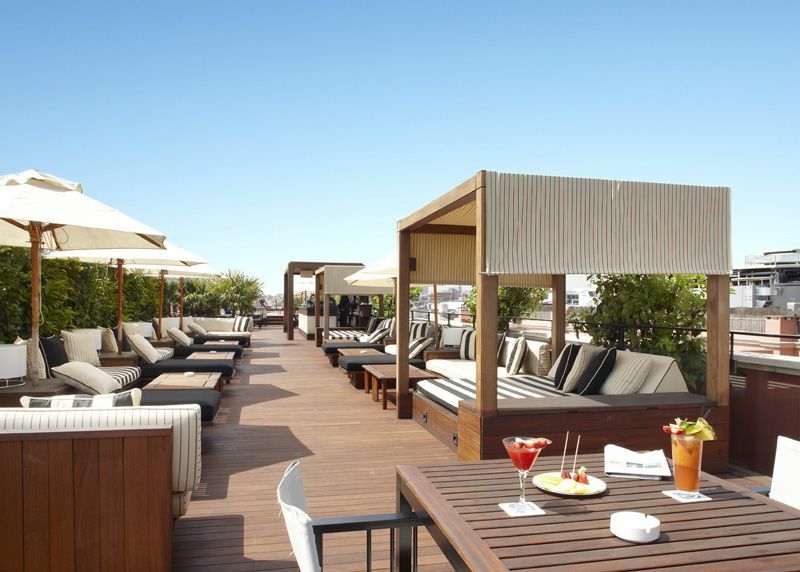 The roof is a sun trap with a poolside, decadent travel feel that will make it almost impossible to remember that you are actually towering above one of Barcelonas busiest streets. Spanish/CafeDelMar style music fills the air and completely isolates you from the tourists below. When you are on the deck, 3 words… Croquettas and Prawns. These are perfect little tapas day or night and I personally cannot get enough of the shredded wheat prawns every time I go. At sunset the smart people head up to the roof for cocktails and the view of the city as the Sun disappears over the mountain. Nothing compliments this more than one of their famous cocktails. 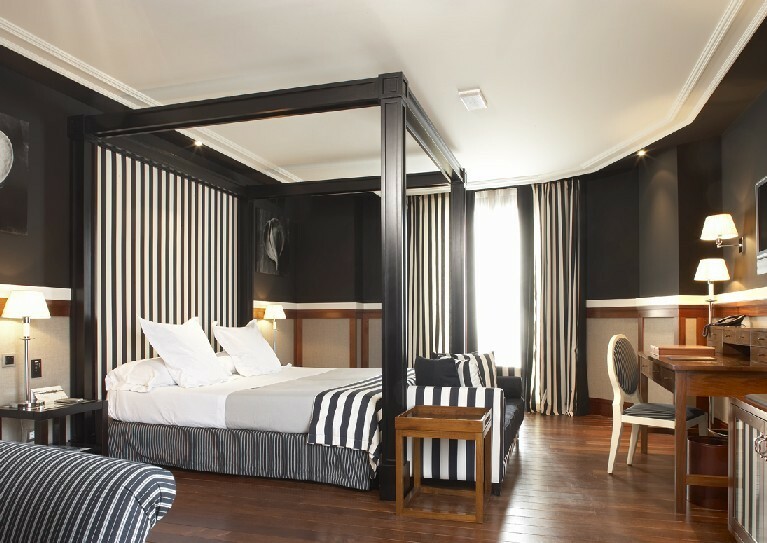 The rooms are beautifully decorated, and very day on the riviera in style. It is especially nice during dusk when the daylight from las ramblas is just settling and you can begin your evening from this calm and tranquil place. (Note: Take it in….It will not remain that way when you leave). Hotels all too often focussing on the wild an outlandish, (a pig in formaldehyde here, a hub cap sculpture there), H1898 knows how to do Simple, clean luxury and do it well. The Spa… Though facilities are limited in the spa, it is a little cave of tranquility. 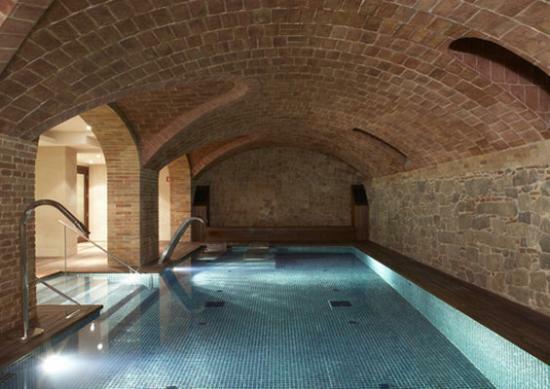 It also has a heated pool, whirlpools, therapeutic fountains, sauna, and steam room. You can also book one of their signature massages. Education corner: The spa is actually in an old storage cellar of the Philippines Tobacco Company. This can be best seen when perched in the pool and, if you’re like me, pretending to gear up for a few laps before actually just hitting the sauna. I have recommended this hotel to literally dozens of friends and they are always thrilled that they’ve stayed here. There are far bigger, far more famous and far more gimmick-centric hotels in Barcelona, though for me … chic beats clique every time.